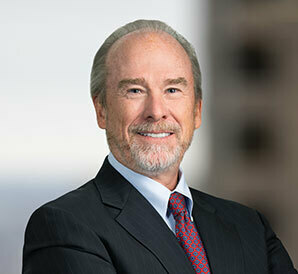 Don is a partner in the Firm's Compensation & Employment Group (having served as Chairman of the Group from 2004-2019), concentrating his practice in executive compensation and employee benefits. Don offers our clients more than 30 years of experience dealing with complex compensation matters. Don represents entities, individuals and compensation committees in all stages of the employment process, from negotiating and drafting employment arrangements to separation settlements. Don advises clients on the design and establishment of various types of compensation programs, such as cash and equity based incentive plans (stock options, stock appreciation rights, stock units, restricted stock, etc.) and related insider trading (Section 16) issues, employee stock purchase plans, phantom stock plans, retention plans, non-qualified deferred compensation plans and related rabbi and secular trusts, director compensation programs and change-in-control and severance agreements and plans. Don has extensive experience providing guidance with CEO succession planning. In advising employers on compensation related matters, Don’s practice also includes protecting company interests with confidentiality and non-competition arrangements and other restrictive covenants. Don serves on the Firm’s Finance Committee and Pension Committee. He is a frequent speaker on issues of director and executive compensation with a focus on the financial services industry. So, you thought you were done with TARP? Will Citigroup Shareholders’ “No” Vote Change the Compensation Game?